No essay today, just a reminder that Thursday evening, June 5th, 2014 Emerson Track in Concord hosts the 6th annual Adrian Martinez classic, a festival of distance races for all levels. Is this meet worth your while? YES!! The elite events (5000, 800, and Mile) are STACKED with talent. The Men’s Mile features Olympic silver medalist Leo Manzano, fresh off his victory in the International Mile at the Prefontaine Classic, plus NCAA 1000m record holder and 3:38 man for 1500m, BU’s Rich Peters and four other sub-4:00 guys. The other elite events are similarly strong. In the stacked Men’s High Performance 800m, Lowell HS and UCONN star Brian Gagnon (1:45) will face World Junior Silver Medalist Cas Loxsom, UMaine standout Riley Masters, Uganda Olympian Julius Mutekanga and Dorian Ulrey, who represented the USA at the 2009 World Championships. The women’s 800 features Geena Gall Lara, who ran on the victorious U.S. 4×800 team at the recent World Relays and seven other women who have run 2:04 or better. 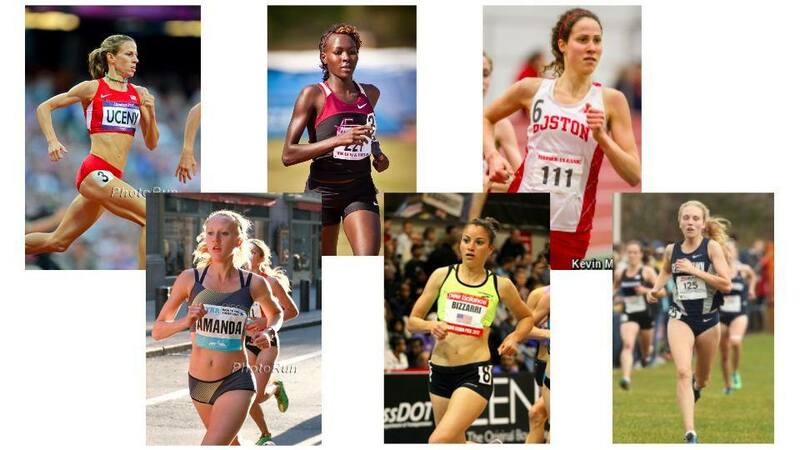 The women’s 5000m is headlined by 15:09 runner Amy Hastings, and eight women who have run in the 15’s. The meet isn’t all about elite races. Also included are scholastic and youth miles, a first-timer’s mile, a masters/seniors mile, a family relay, and more. Meet organizers have released a draft schedule for the meet (see below). The final schedule will be posted on the Martinez Classic Facebook Page by 2:00 pm Wednesday. This entry was posted in Pro Runners. Bookmark the permalink.